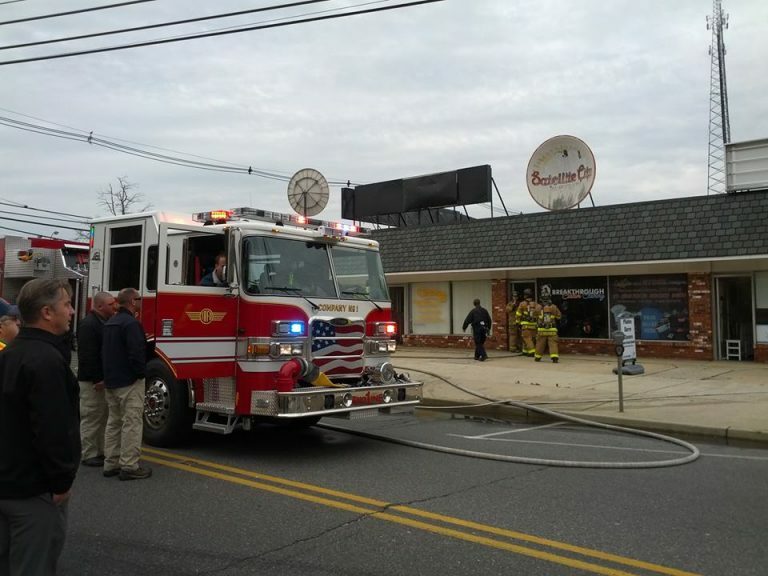 Fire department activity in downtown Toms River is causing significant traffic delays throughout the area late Thursday morning. A fire broke out in a commercial structure at the corner of West Water Street and Adafre Avenue shortly before 11:00 a.m., fire department sources said. The blaze was quickly extinguished, and there were no injuries. The extent of damage to the structure was not immediately known. West Water Street, a major connector between the Garden State Parkway and downtown Toms River, is closed at the fire scene as of late morning, causing heavy traffic throughout the area. The roadway will be closed until further notice as firefighters continue to operate on the scene, according to authorities.